I thought I should keep it to myself until “Surviving in a Toxic World” was published, but then decided to share it with you – both to keep myself on track and also to let you know what was coming. The subject is too important to my heart and too urgent to procrastinate with it. I will explain why it is urgent shortly. Each subject expands into sub-headings which give detailed information about it. Since I am still working on the book, things are changing and subheadings are being added or removed. For this reason, I will limit myself by giving just a general overview of what the book is going to contain. 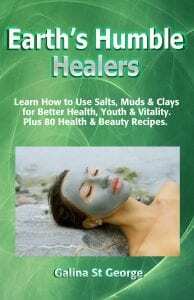 I would just like to say that the book will cover in great detail information about toxins and natural detoxification methods and materials. Why am I writing “Surviving in a Toxic World” now? The urgency of this book is dictated by the deterioration of the environment we live in – not just in one particular country, but worldwide. Let me explain what I mean. The food we eat now is not the food we used to eat even 50 years ago. While it is being made to last much longer, the number of colourings, flavour enhancers, additives and preservatives is growing exponentially. This is not even speaking about various by-products of intensive agriculture methods which are not even listed on the labels (hormones, antibiotics, pesticides fed to animals and sprayed on plants). Is the air we breathe free from toxins? I have no doubt that the air we breathe contains every chemical in the Mendeleyev table, thanks to the so-called “industrial progress”. What is progressive about it when it impacts so badly on the health of the people behind it – not to mention all other living creatures and the environment? Car fumes, by-products of the petroleum, coal, chemical and mining industries, man-made peat fires, forest and bush fires… That’s just for starters! How safe is the water we drink? Water contains what’s in the air, and more. Water is being used by most industrial plants, including chemical, electronic and pharmaceutical. 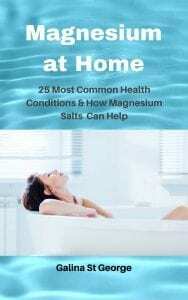 Let’s not forget household wastewaters which are said to be responsible for a rise in hormones in water coming from the contraceptive and other hormone-related medicines. How is it going to make us healthier? And what about plastics which have a number of substances highly damaging to health? Plus all the other medicines which are taken out of the body and going into the common “pool” of water. And chemicals in the rainwater… Water is too important for life, and we need to make sure that what we drink is clean. Think about all the artificial materials we, our little children and animals are in constant contact with. Some of them are far from safe. How many toys have been recalled as a result of them being deemed unsafe? And do you think that the flooring or cheap furniture we use doesn’t damage our health? If you do, then I suggest going to a flooring or furniture store and focusing on the smell of these products. Some of the substances the products are made of are highly carcinogenic, especially over long-term use. The background radiation levels are rising. Let’s talk Fukushima. Well, nobody else is – not on the level that matters. It’s like the issue doesn’t even exist. Everything is good and sorted. Except that it isn’t. Fukushima continues to poison our oceans and the environment. Reports of dead fish and birds swept ashore is not something you will come across in mainstream media. It’s kind of a taboo subject. Scant reports coming out of Fukushima talk about the inability to contain the leaks, and also that whoever is in charge of containing and sorting it out has little success in doing so. This means that the problem is not going away any time soon. And of course, there are other factors – like environmental damage as a result of fracking which is gaining pace, expanding the number of mobile phone masts, poorly researched effect on health from wifi and other types of electromagnetic radiation… There is a lot more. It is not the purpose of my book to scare you. 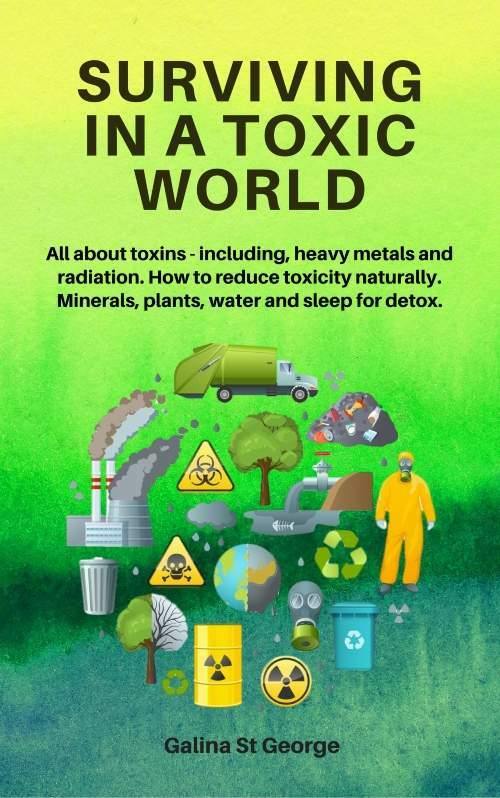 “Surviving in a Toxic World” aims to inform and encourage you to take steps towards minimising effects of the environment on health and well-being – your own and your loved ones. There are ways to do it. There are products and procedures (many are cheap or even free) which can help to collect toxic waste from the body and protect it from being damaged further. A lot depends on our general state of health, choices we make in terms of food, water, environment and lifestyle. One does not need to be a millionaire or even wealthy to make the right choices. Think how much it costs to be unhealthy. How it deprives you of energy to do what you want to do. It is much cheaper to take charge of your life and start making the right decisions. This is also covered in the book. I will work hard on it and let you know when the book will be published. You will be able to get it at a discounted price during the limited launch period. The book will have the information which I haven’t been able to see anywhere yet. 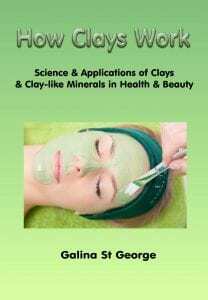 To get notified about the launch, sign up for updates (and get the “Mineral Healing” report for free). 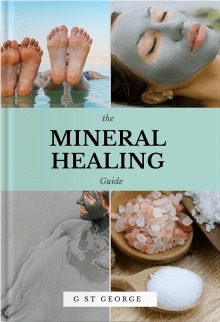 In the meantime, explore the mineral healing courses available to study now.